China Radio International (CRI) is doing more and more news on video. They had come to do a feature about Natooke shop and me doing tricks on bicycles. Here is the feature on their site. But I cannot see the video on their site. The video is also uploaded here. Bicycles used to be the most popular mode of transportation in Beijing, but in recent decades they’ve largely been replaced by the car, taxi, bus, subway and pedicab. But Smarter Than Car (STC), a Beijingbased bike culture advocacy group, is trying to make bicycles cool again with a series of indoor races on stationary bikes, and so far 61 people have risen to the challenge. The race, called Jisu PK, is divided into 20-second rounds where three riders face off on special refitted bicycles. The front wheels are nonexistent, and the back wheels have been fixed to the spot and fitted with sensors that can track the rider’s speed. Participants race for 300 meters, and whoever is the fastest is the winner. „Today we did the 300 meters for the first races, and for the fi nal races we do 500 meters,“ said Ines Brunn, one of the STC’s founders and also a bicycle lover. The race on January 22 at Yizhuang was actually the second stop in STC’s Jisu PK series. The first stop was held January 15 at School Bar in Wudaoying Hutong. „In China people think the bicycle is uncool and the car is cool. 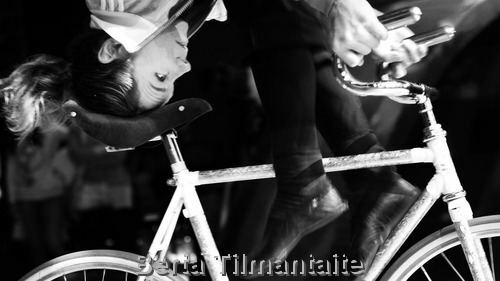 This event is to put bicycles on the stage and make riding bicycles cool and fun. 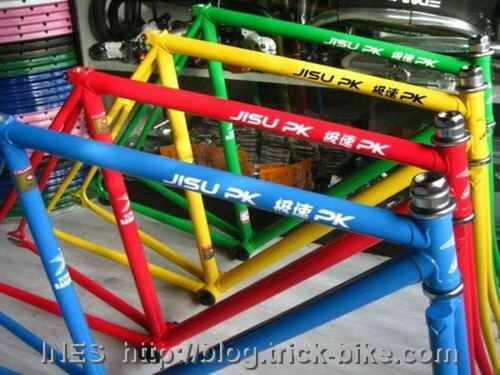 We do this with a DJ and cool bicycles,“ Shannon Bufton, one of the founders in STC said of the idea of Jisu PK series. In the January 15 race, most of the participants were expats, but the champion in the men’s division was Sun Zhe, a 22-year-old Chinese student. „I’ve been doing road races for fun in my spare time for three years. But last time was my first time to experience Jisu PK,“ he said at the Yizhuang race. For Sun, his championship was totally a surprise. „It is a really short race, and not quite tiring. I think it’s a test for the burst of strength.“ But, since the fi rst bite, Sun obviously fell into Jisu PK and registered for the second stop in Yizhuang. According to Bufton’s introduction, about 99 percent of participants preregistered for the Jisu PK Yizhuang race were Chinese, which was opposite to the situation at School Bar. However, Brunn says they still have a lot more to do. „Each time we do it is getting better and more Chinese people hear about it and get interested,“ she said. At January 22’s event, STC prepared 100 preregistration places, and people passing by in the market could also come in and have a try. „Hopefully members from the public will come in today and participate in the race. We have small bikes and big bikes. Even the kids can have rides,“ Bufton said. „Though the average age of participants was probably about 23 or 24, there are also quite a lot of people over 40 or some are over 50,“ he said. 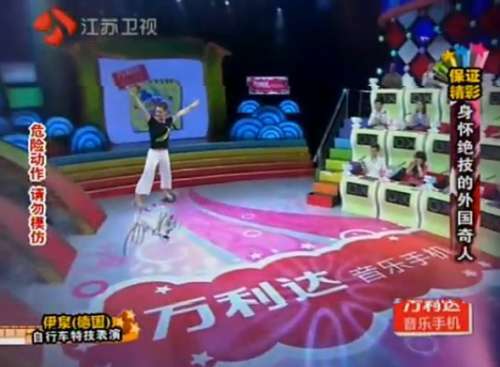 Wang Xiucun, a 56-year-old woman, was quite easy to find among the group in front of the stage because of her bright red bicycle gear. She has been racing bicycles outdoors for 10 years as a hobby, but after trying out the stationary bike, she said it was totally different from riding outdoors, and she hadn’t yet grasped the best technique to achieve speed on it. In addition to Shen and Wang, there were quite a few participants over 40 in attendance. The final winners on January 22 were two young participants, but that was not the most important thing on that day. The third Jisu PK race will be held on February 26, and the schedule is available on STC’s webstite, www. stcbj.com. In addition to the Jisu PK series, there are also some regular riding events, such as Friday Light Rides held by STC and the cooperation riding project, Bike for A Better Beijing, between STC and Low-Carbon Transportation Project of Friends of Nature. Last week we saw New York’s Time Square taken over with that 60 second pro-China advertisement courtesy of the Chinese Government. Even now it is still playing at various times every hour on the big screens in the heart of NYC. A week later, the next stage of the Chinese Government’s campaign to revamp the image of China in the West has rolled out with a 15 minute (well technically 18min) documentary promoting the wonders of China and its people from various “perspectives”. The documentary will be sent out to embassies and consulates around the world. It will also be played at various events promoting Chinese tourism. The documentary is titled “角度篇” (Jiǎodù piān) or in English “Perspectives” and you can watch it on youku.com. On December 10th 2010 we decorated the LiNing and YOHO fixed gear event called „Bike Boy“ with our Natooke parts. 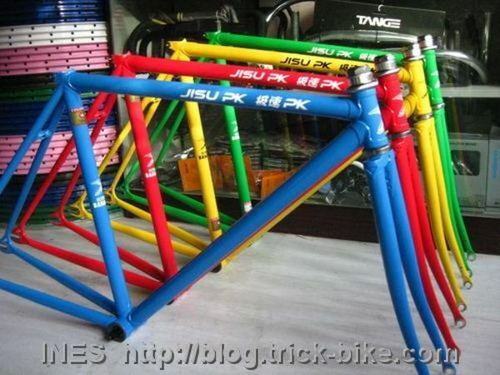 Here is a video of the fixed gear event Bike Boy and Natooke that was on Chinese MTV. Only the first 2 min are really about the event where we provided all the bikes and fixie parts as decoration. Also you see me a few times doing some tricks outside on my fixed gear bike the day before the event as well at the event. Here is another TV clip of the Fixed Gear event. Shannon put together this cool JisuPK promo video from some of teh events where we set up this kind of race last year. But last year we used cheaper bikes. I am so looking forward to JisuPk with these new frames. Also a few weeks back Beijing TV came to film about „Smarter than Car“. I was not there, but you can watch the STC BTV special footage here. Today was also one of these typical days at Natooke. A lady walks in and says „I write for the magazine „Business Times“. Please do some tricks on your bike now“. It is nice to get this attention from the media, but I do have to smile when I get asked to do bicycle tricks like that. Of course I was wearing my high heel boots and not really the clothes for tricks. But it is enough to do stunts to impress the photograpgers and editors or cameramen. I never would have thought that my 21 years of practice would be so useful one day 🙂 If I would have said 5 years ago when I did one of my last bicycle competitions that „One day I will be doing bike tricks on the streets of Beijing for business magazines“ nobody would have believed me. Life is fun! 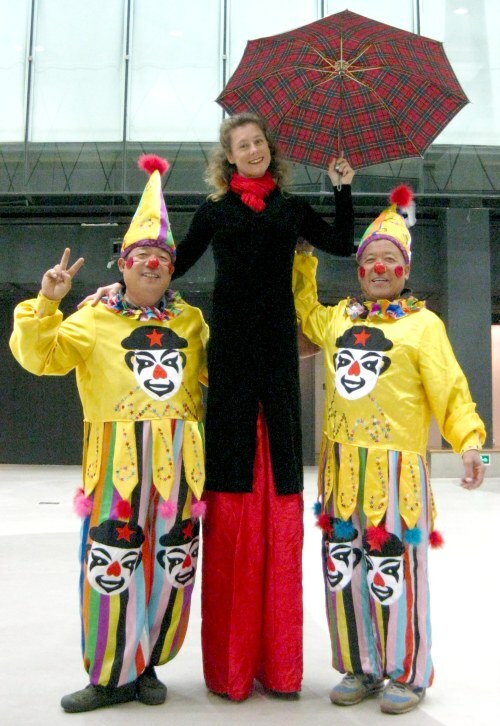 Jiangsu TV station invited me to go to Nanjing to perform my bike tricks for a TV show. The hosts of the show were Li Ai (李艾) and Peng Yu (彭宇). My friend Berta Tilmantaite from Lithuania who is studying photo journalism came with me to film my tricks for her short film project. You can see some of her work on her vimeo channel. She also took some amazing pictures. I only saw a few of them but as always I love how she captures the atmosphere extremely well. This following picture is me falling asleep after receiving the show outline in Chinese late at night and then trying to translate and understand what I need to do or say on the TV show which took me till 2am and then having to get up at 5am for the early morning flight to Nanjing. 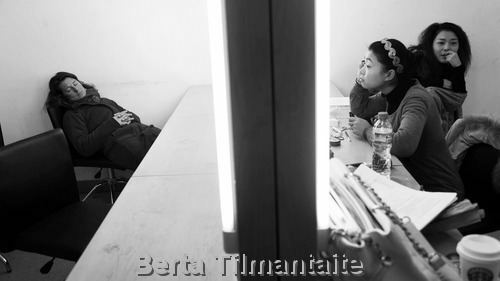 And when we arrived at the TV station studio somehow nobody took care of us so I just fell asleep in the make up room. Even the make up girls on the other side were bored too. And this is me after a hectic „there is no time for you to get any food for lunch“ and „get your make up on quickly“ concentrating and trying out what kind of tricks I can do on my bicycle in the TV studio before the show started. My plane had just barely landed when I received a call from TimeOut. An editor from TimeOut wanted a short interview about our fixed gear bike club. She said it will be published in the February edition. China Radio International (CRI) came a week ago to film Shannon and me regarding our „Smarter than Car“ (STC). Beijing is a city made for cycling. There are designated bike lanes. You can lock up your two-wheeler almost anywhere. And, the city is as flat as a pancake. So why is Beijing jam-packed with vehicles? An organization called „Smarter Than Car“ is trying to change that. It is reviving pedal power in the city. Liu Bing reports.